Gods Church of Deliverance was founded by Pastor Lawrence "Mackey" Francisco and 1st Lady Juanita Francisco. While Pastor Mackey lived in Austin, Texas, the Lord impressed him to move back to Bakersfield,California to "reach the unreachable" and to re-teach those who had been taught through mis-interpreted scriptures and biblical principles in the past. 1st Lady Juanita stated, "The Lord gave me the name of the church, " which is "God's Church of Deliverance". In 1995 they moved back to Bakersfield,California and started God's Church of Deliverance in their home. After having church in their home for approximately one year, they moved the church to a store front which was located on the corner of South "H" Street and Brundage Lane. The church remained there from 1996 until 2004. The church has been at its present location at 405 Haley (The Bakersfield Singers Inspiration Building) since 2004. Celebrating 50+Years of Dedicated Service Pastor Lawrence "Mackey" & 1st Lady Juanita Francisco where honored in a service on June 7, 2014 as they transitioned from Senior Pastor and 1st Lady to Pastor Emeritus & 1st Lady Emeritus. 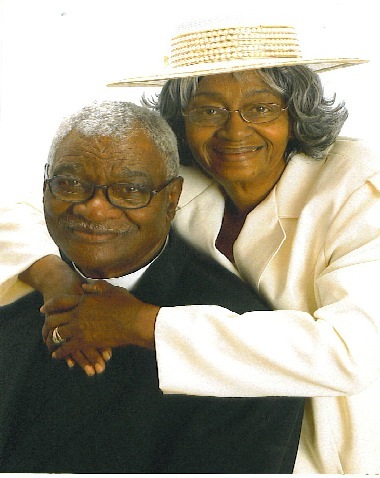 Unfortunately, Pastor Emeritus Lawrence (Mackey) and 1st Lady Emeritus Juanita Francisco went home to be with Lord respectively on June 13, 2014 and March 18, 2016. Through God's grace and empowerment of the Holy Spirit the ministry continues to move forward under the dedicated leadership of Pastor Morris Francisco and Co-Pastor Gloria Francisco with an innovative vision "Building on The Foundation and Moving It Forward".